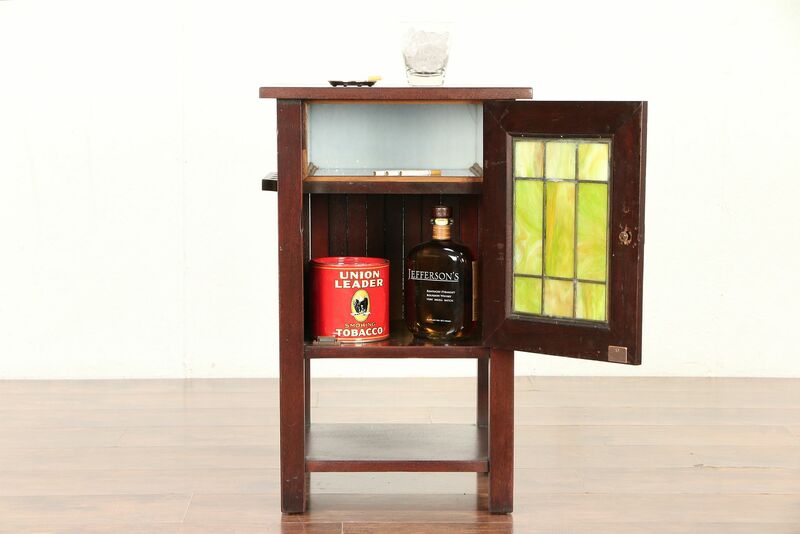 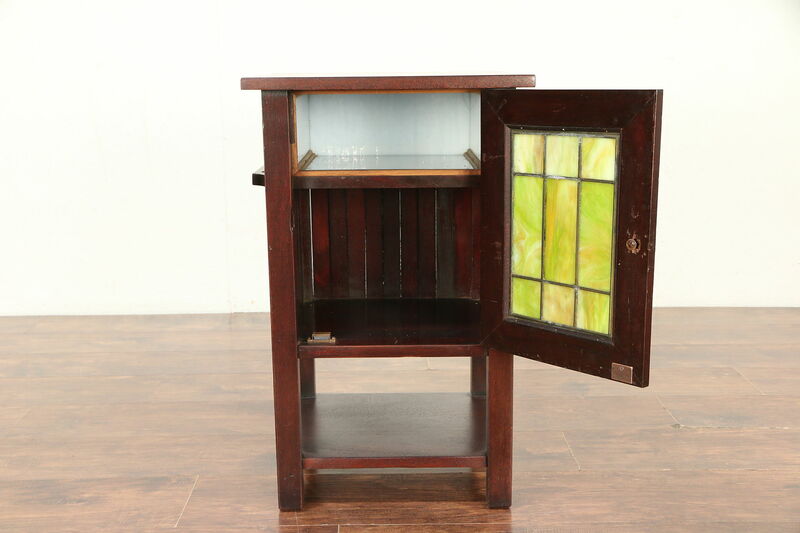 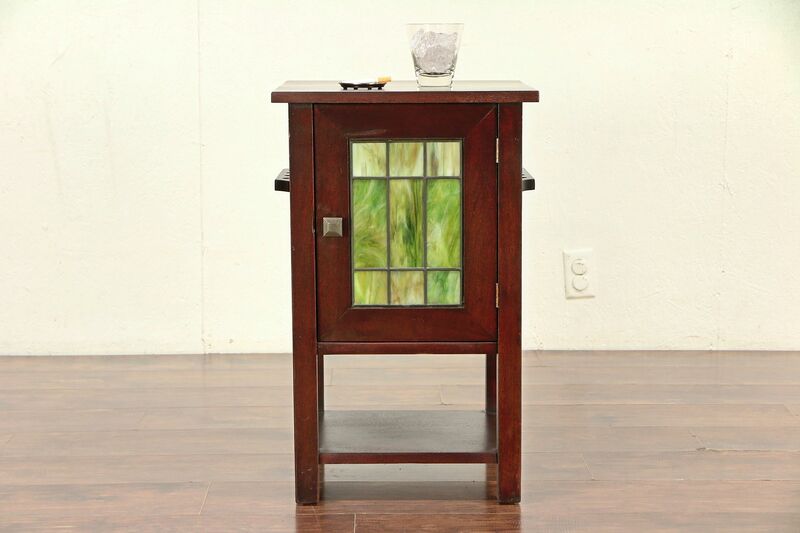 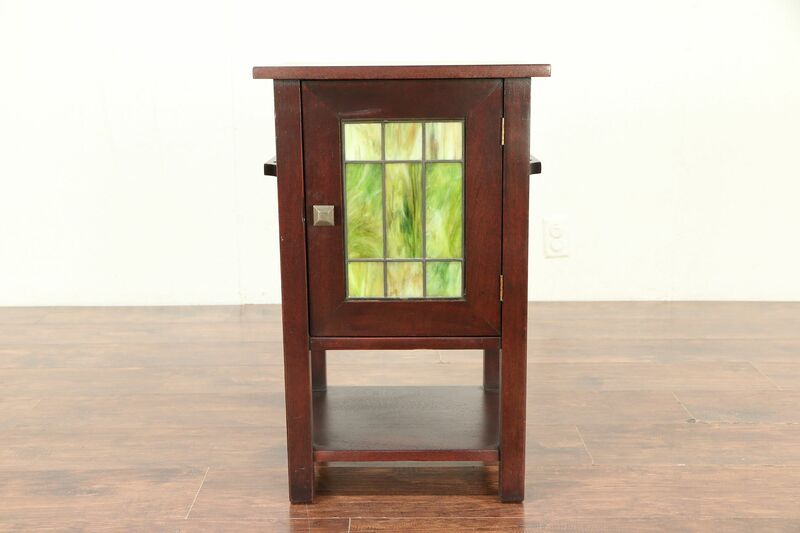 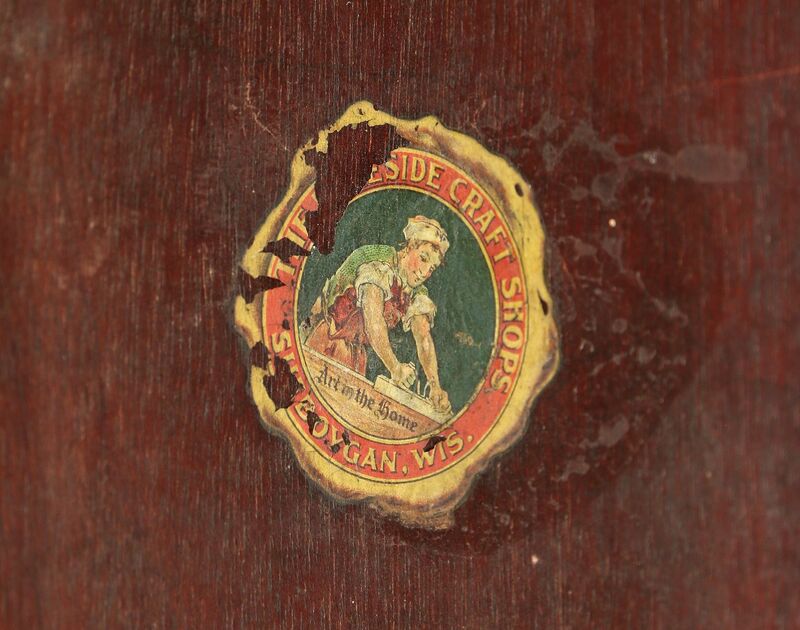 A little Craftsman period chairside table and smoking stand with a hand leaded stained glass door was signed, "Lakeside Crafts, Sheboygan, Wis." about 1905. 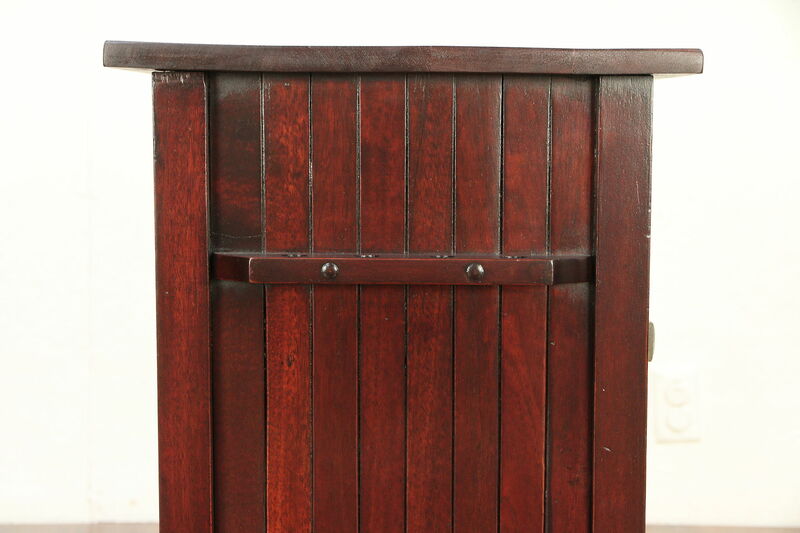 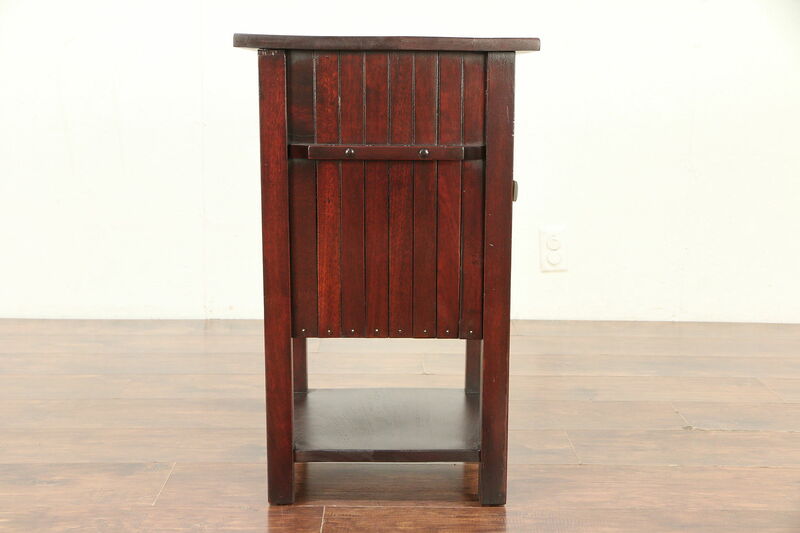 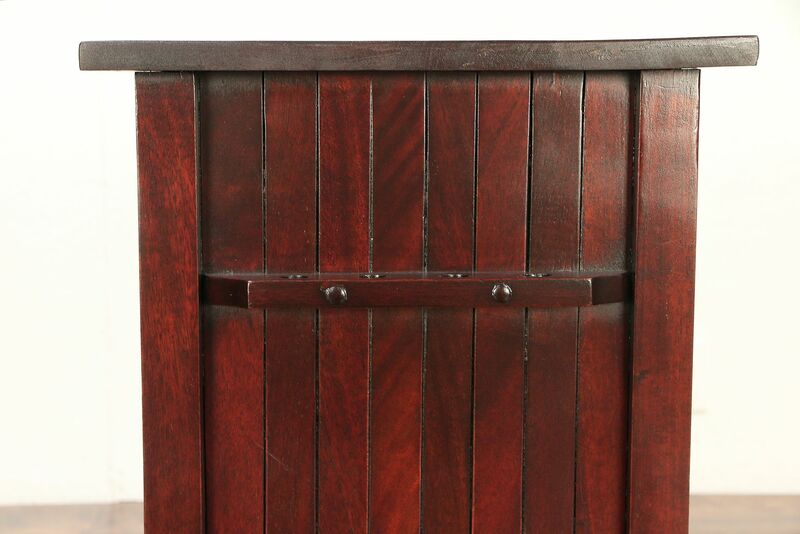 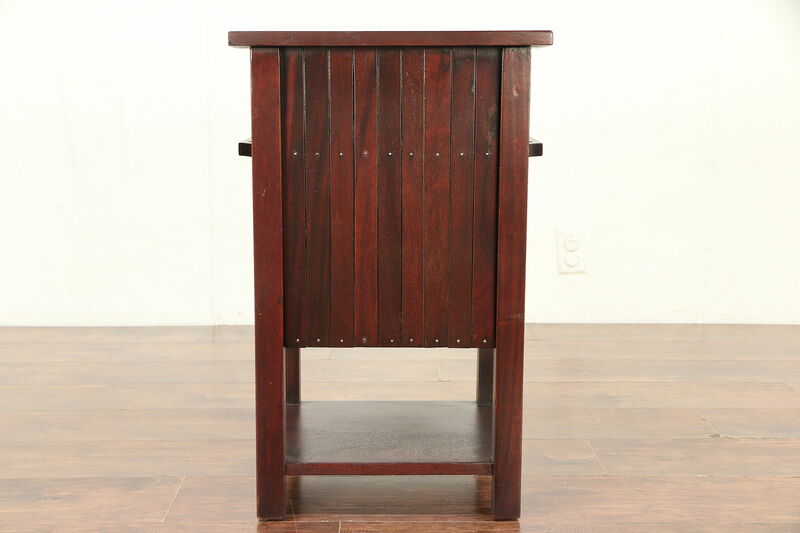 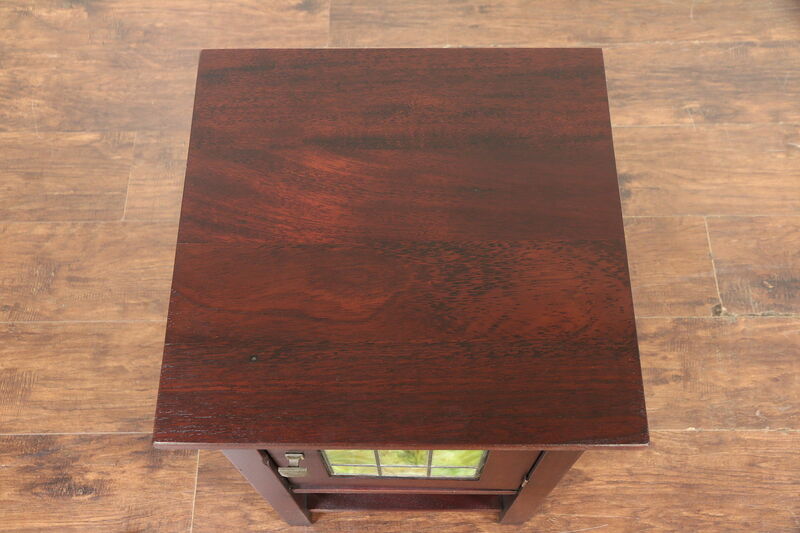 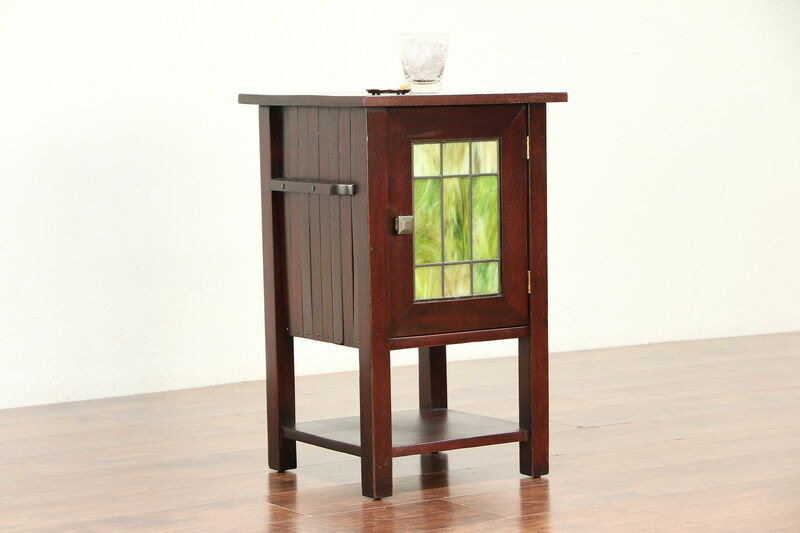 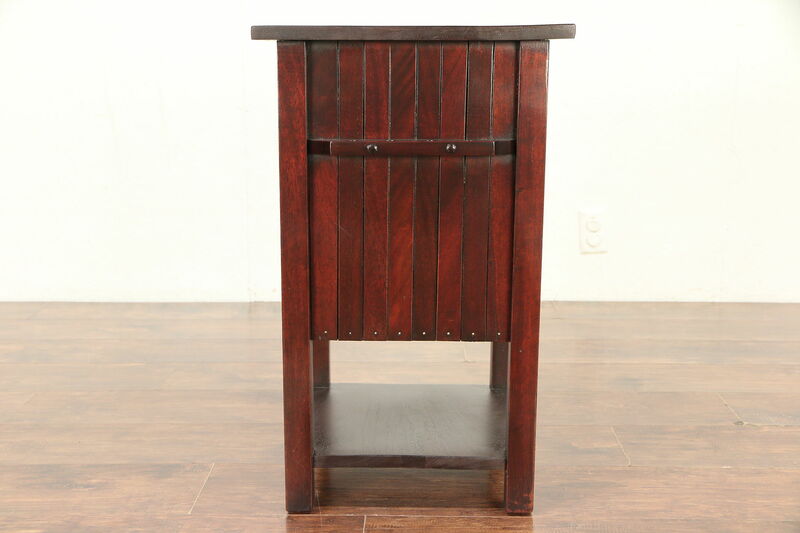 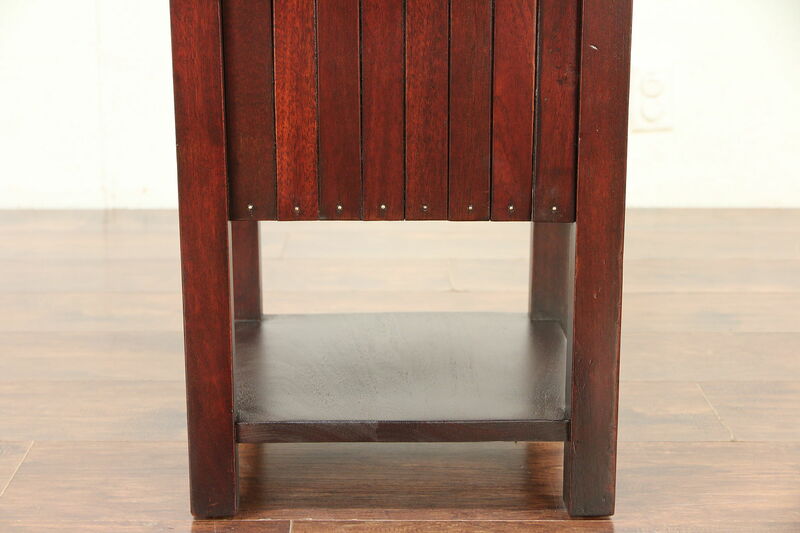 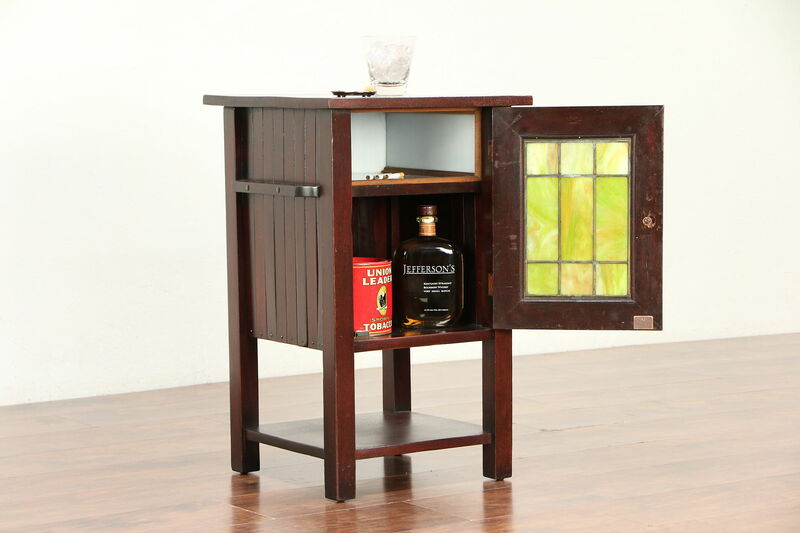 Solid mahogany, there is a milk glass lined tobacco humidor inside. 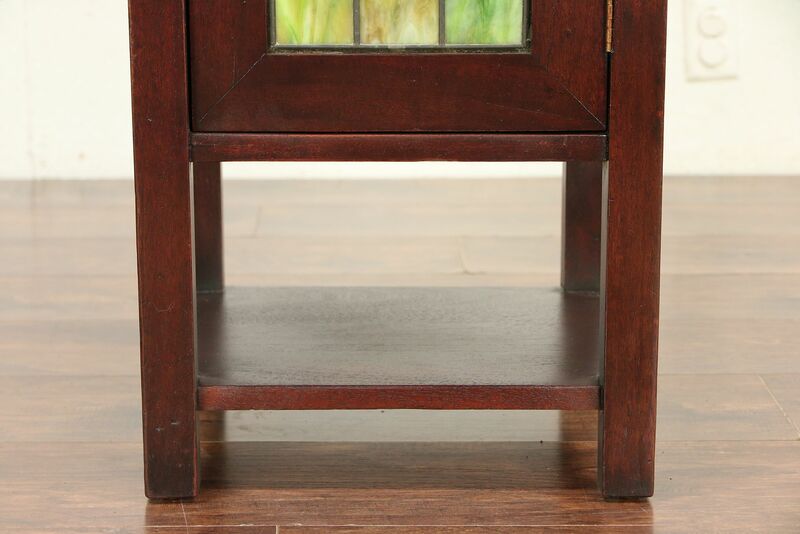 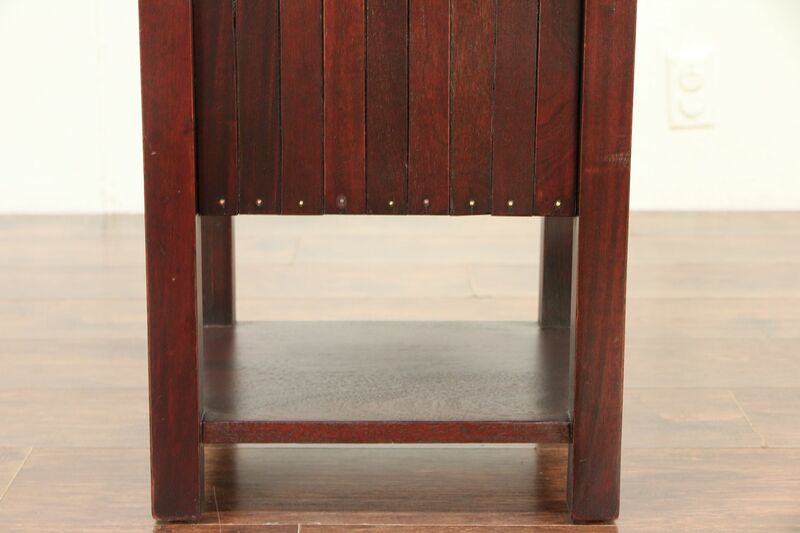 The restored finish is in excellent condition, preserving a few mars for a little antique character on this Arts and Crafts furniture. 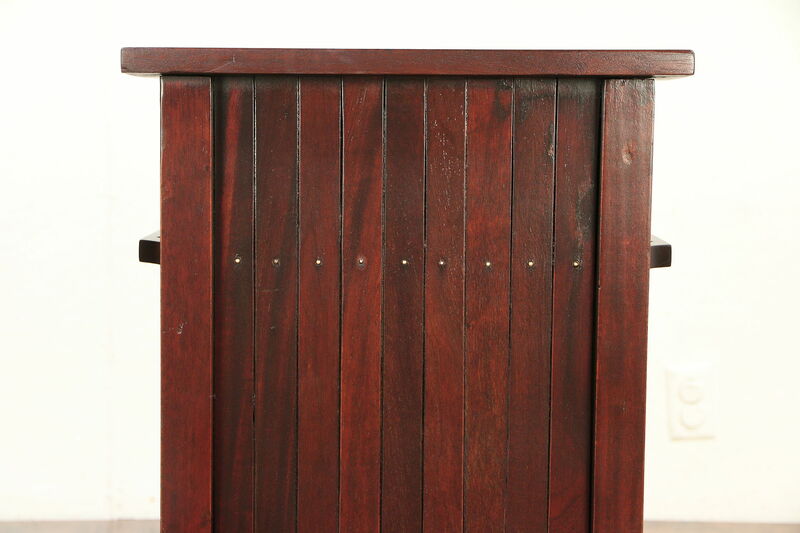 On the side are racks for pipes. 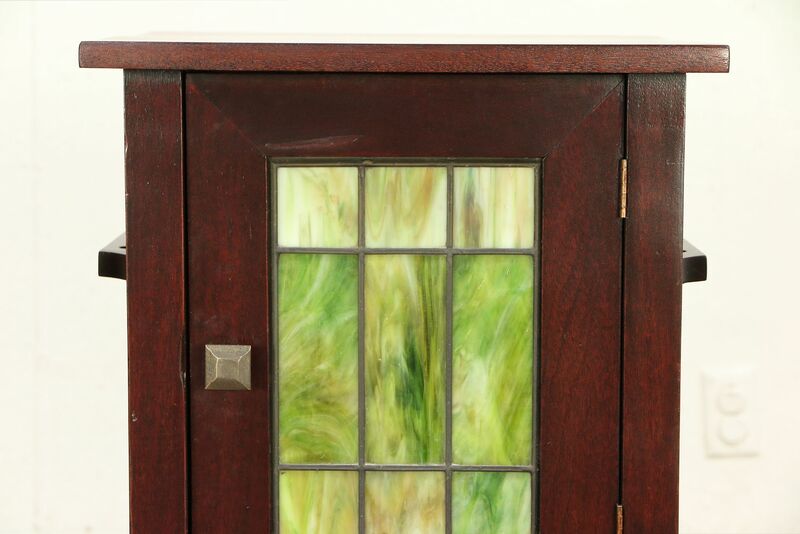 The door has a hammered solid brass knob of the period. 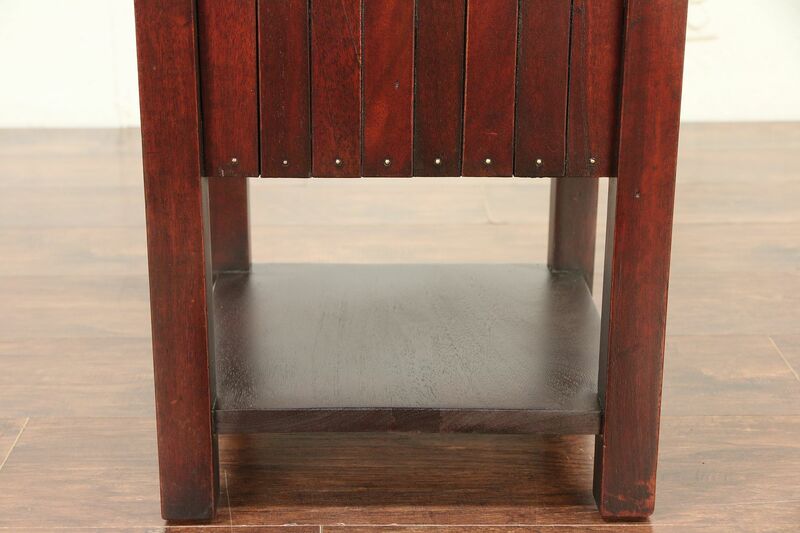 Measurements are 16 1/2" square and 26 1/2" tall.